It’s here. And it’s going to be powerful. Over 700 horsepower powerful. It’s the new Ford Shelby GT500. Muscle car fans are getting excited. Ford has now brought out their new GT500 at the recent Detroit Auto Show, and it looks as tough as the details sound! As far as Ford history goes, this will be the most powerful street legal model they’ve made, with a supercharged 5.2 liter V8 Eaton blower pushing 12 psi with above 500 horses – its the same supercharger in this Shelby GT as is used in the 2019 Covette ZR1! Also of note: they’ll be using a Tremec 7-speed dual clutch transmission for super fast shifting (under 100 milliseconds) according to the manufacturer. The popularity level is already going crazy. 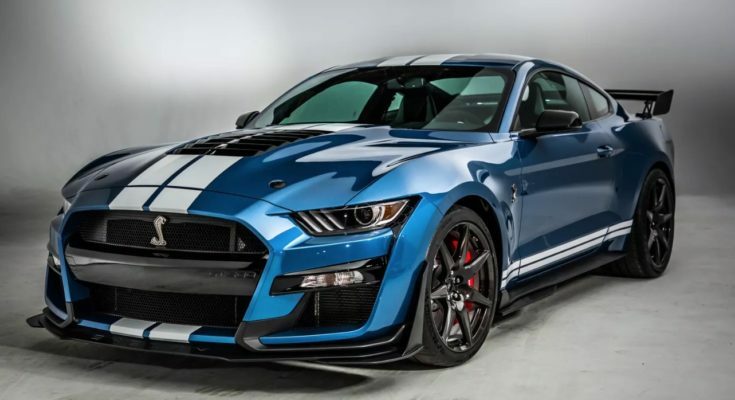 The first model of the 2020 GT500, model #001, has already sold, for $1.1 million dollars at Barrett-Jackson – it was actually a bid by B-J’s chairman and CEO Craig Jackson. The price for regular purchases will obviously be a lot lower.